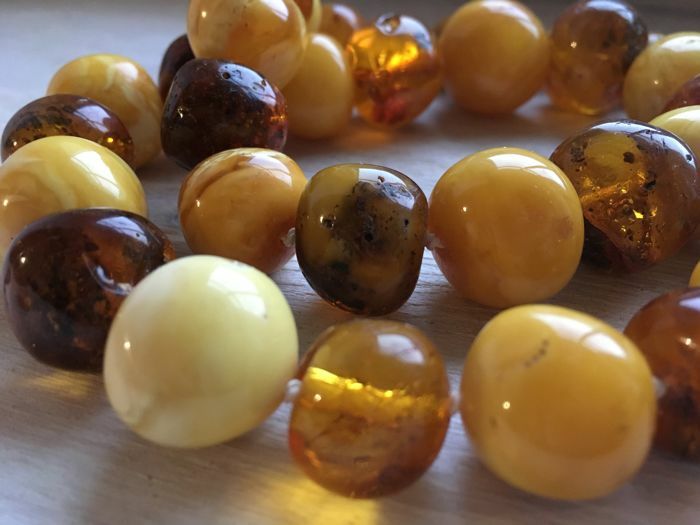 Vintage Amber necklace , 111.6 g, natural shaped butterscotch, egg yolk, brown amber long necklace 60 cm long. 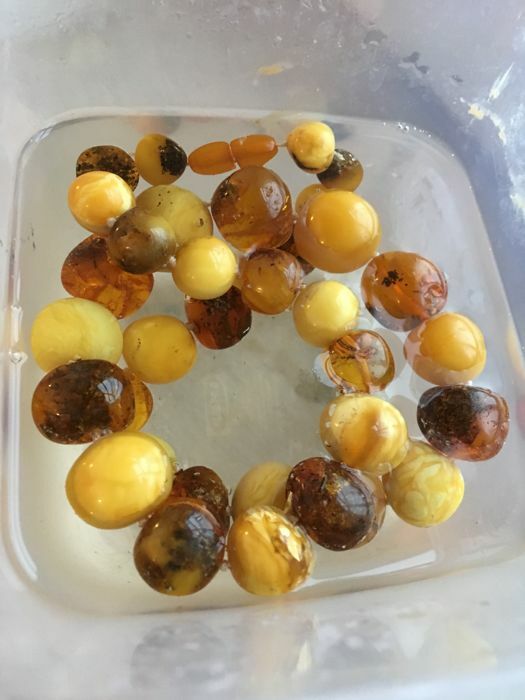 Lenght: 60 cm , butterscotch, brown, egg yolk colour of amber. 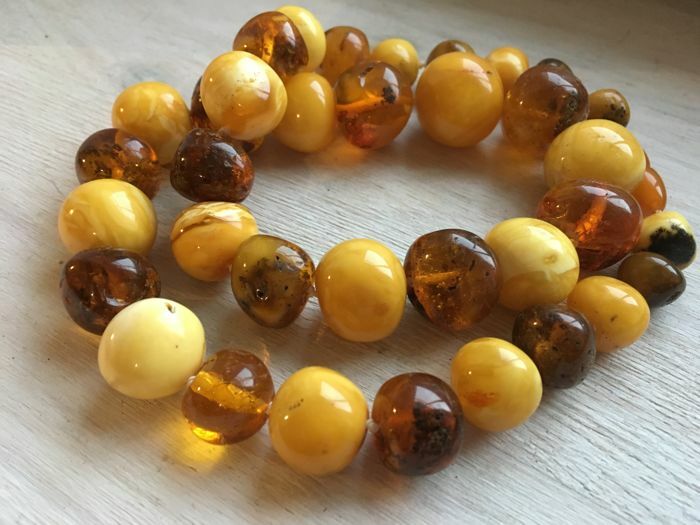 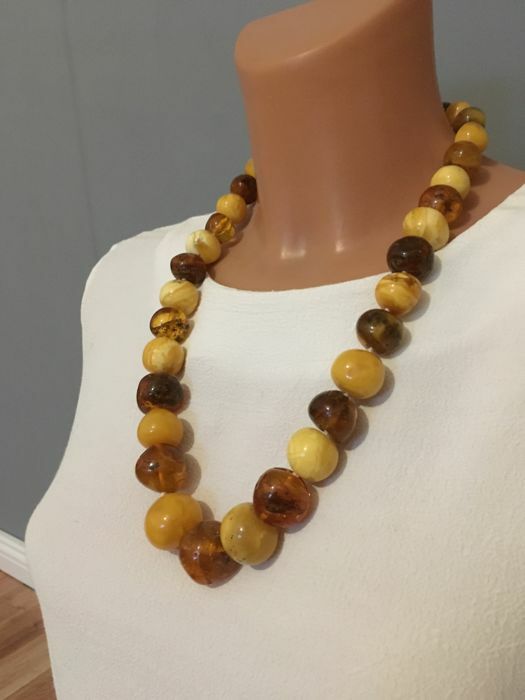 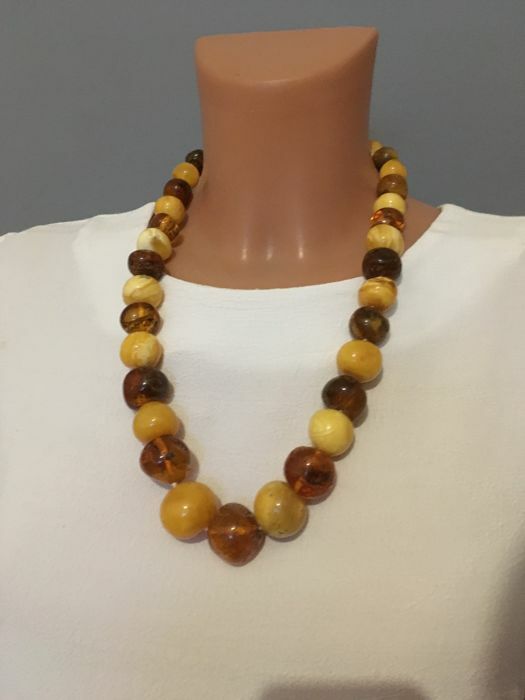 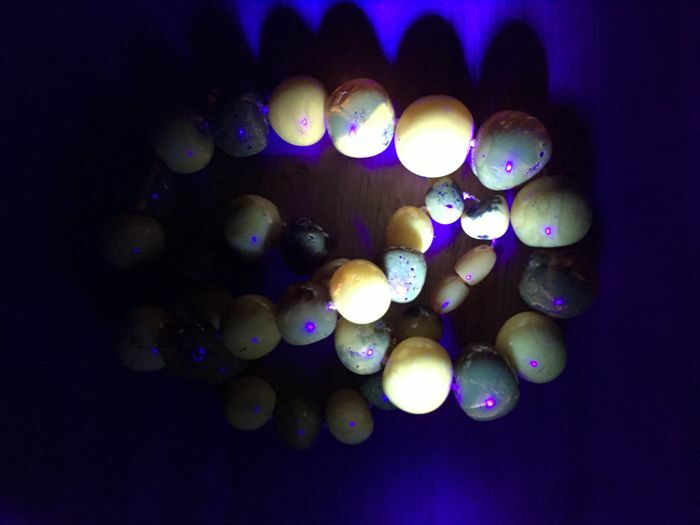 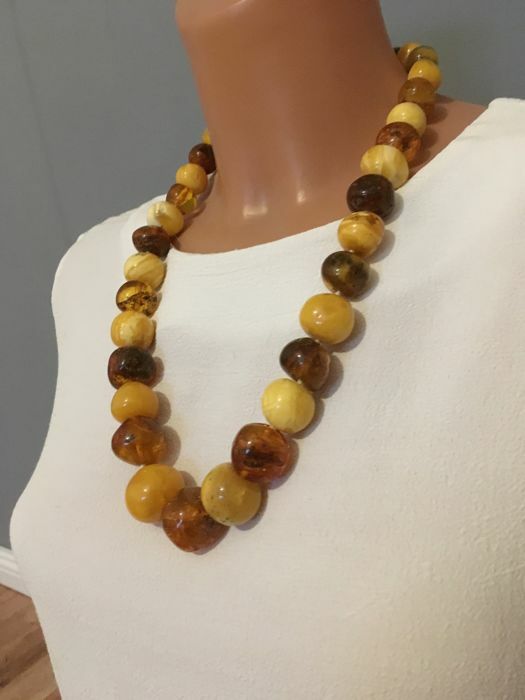 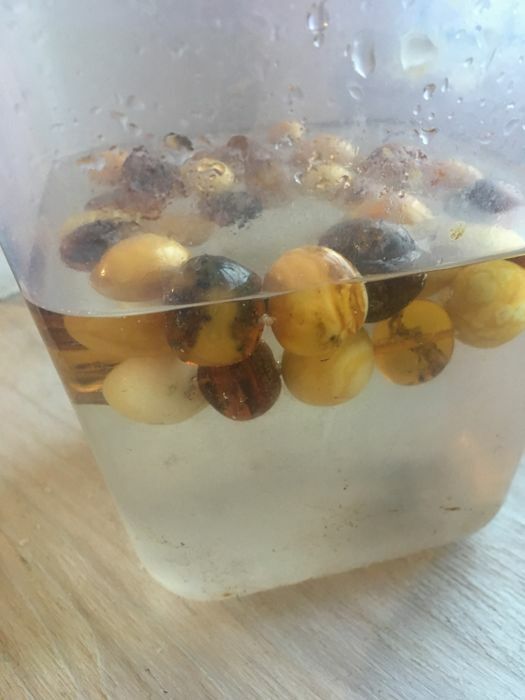 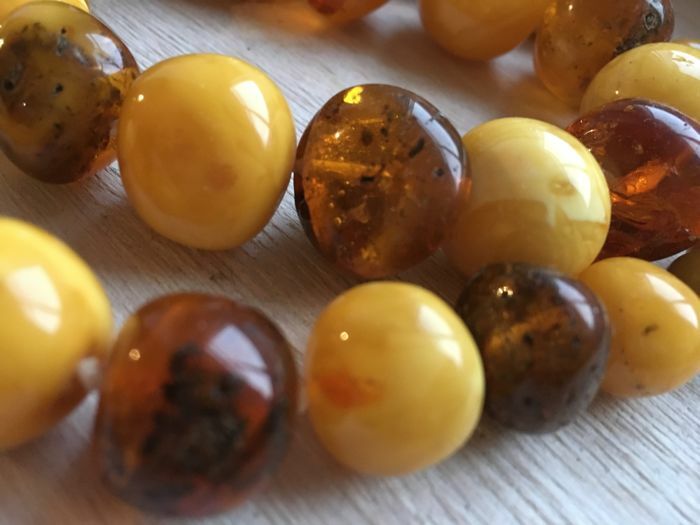 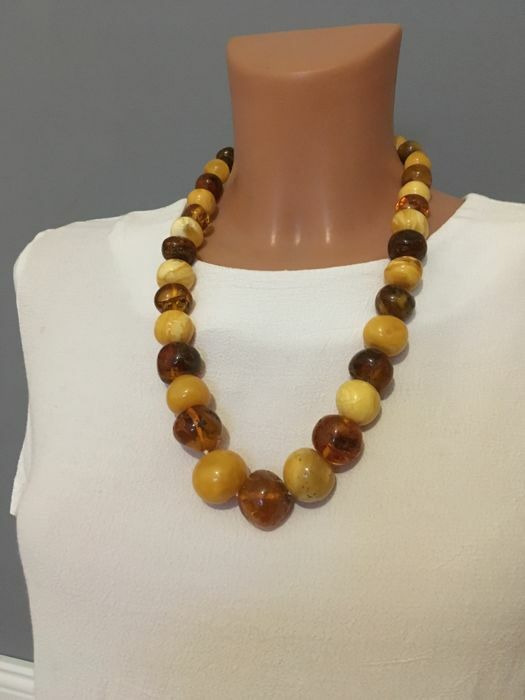 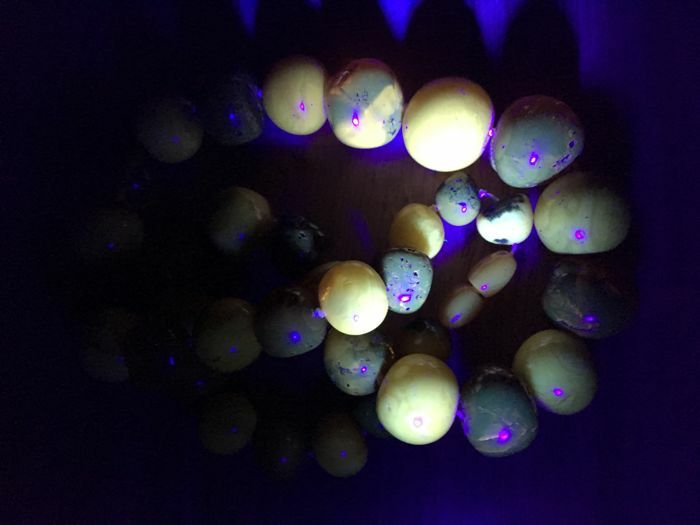 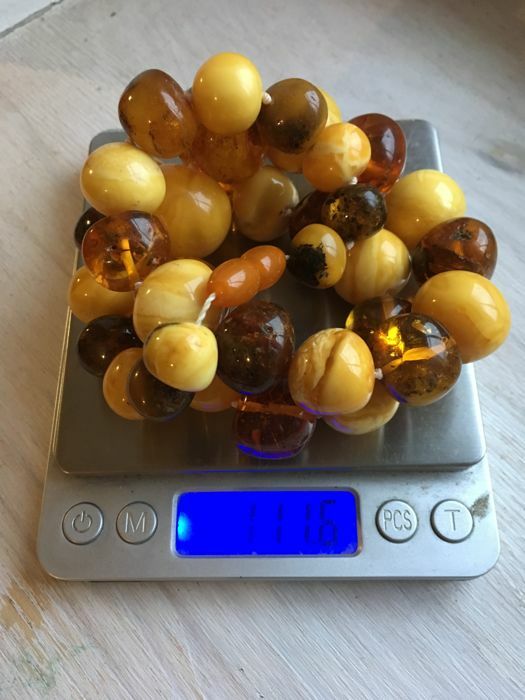 Big natural amber beads approx. 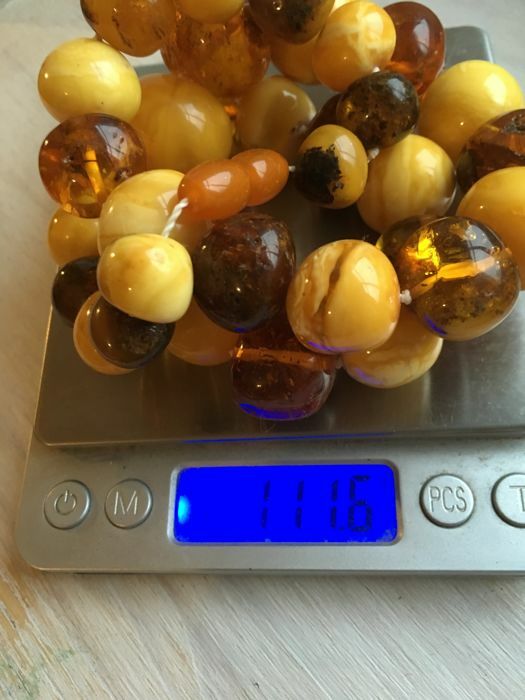 : 14 to 26 mm in diameter. 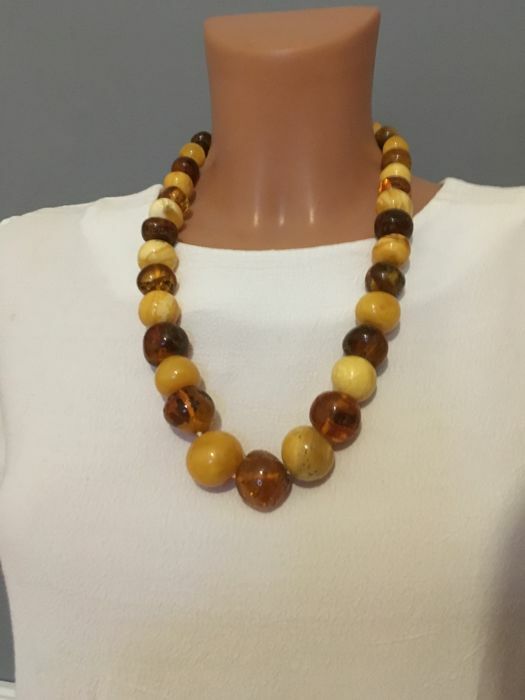 Natural shape beads- they are not ideally round like mashine made beads - they are hand carved. U kunt dit kavel ook ophalen bij de verkoper: Słupsk (Pomorskie), Polen.